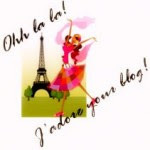 This entry was posted on 10:10 PM and is filed under Food and diet , My life , Quick recipes . You can follow any responses to this entry through the RSS 2.0 feed. You can leave a response, or trackback from your own site. is there an eggless alt to the recipe? That is yummy, & in case you did not know it until now, I too have a sweet (& salty & others) tooth as well (LOL). Will try out that recipe soon, which means I will try & bribe my wife or my daughter to make it. Somehow, I am not very good at making desserts, not that I am much good at other dishes. My Tgiving was great, as usual our friends circle met, this time at a friend's home in Columbus OH. Eat a lot, now have to work that off. The first is a flan recipe, the second Tarla Dalal recipe is for caramel custard. I think that the TD recipe might come out a bit jelly-like because of the gelatin so to get a better consistency for the custard you can soak a slice (or two) of bread in milk, then puree it with the milk to be used for boiling. You have to make sure to puree very well so that there are no flecks of bread remaining. Let me know if you try out any of them :) I've been planning to reduce the eggs in the original because I'm scared of cholesterol but eggless sounds better!!! Samir - Hehe I know, the eating gets outrageous doesnt it!! I tried to keep things light this year but the sheer volume doesnt help. And we still have Christmas and NY's to get through!!!! Let me know how the dessert turns out! 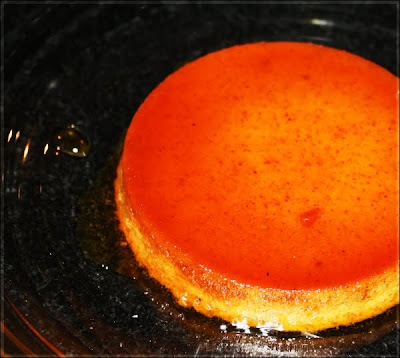 Hubby loves flan, this one sounds yumm...thanks for the additional links! Angel - Do let me know if you try out the eggless varieties! Enjoy!! No thanksgiving in India.. No Black Fridays here alas. But this morning my daughter called to say she picked up 2 Coach purses for less than the price of ONE. So someone somewhere was successful. I love custard too. It looks delicious too. Smita - Good to see u back! !